Bathroom accessories can personalize and add a touch of style to any bathroom. So why not spark up some bathroom glamour with these super chic, all silver pieces from some the best loved collections in the UK? Read on and get inspired by some of the hottest bathroom accessories out there. 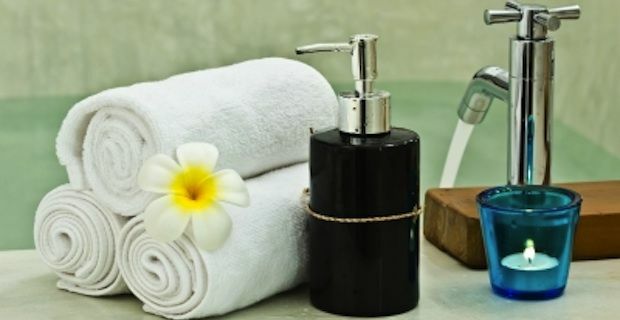 More solid and chunky bathroom accessories that can truly style up any washroom with little effort and expenditure. The dimpled effect, silver finish ceramic pieces of this Cooke & Lewis collection appeals to both the view and the touch, each piece a little contemporary design object to enjoy everyday. Beacuse little details make a huge difference. Available at B&Q's. P http://bit.ly/17eCS4R and http://bit.ly/1dIf2RU respectively.